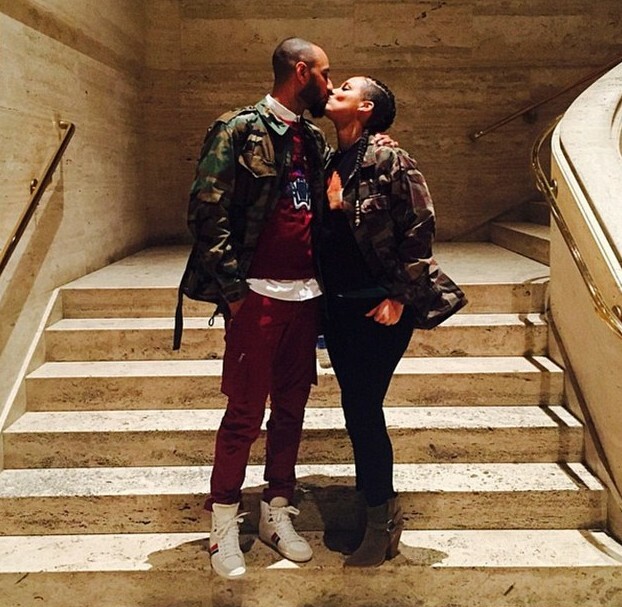 Swizz Beatz and Alicia Keys welcomed baby boy Genesis Ali Dean on December 27. In the picture he poses happily with his wife Alicia Keys, his son Kasseem Dean Jr, and their older son Egypt Daoud. Alicia cradles the two-month-old in the photo, as she, husband Swizz - real name Kasseem Dean - and son Kasseem stare down happily at him. In a second photo shared by her husband, Swizz holds onto Genesis as all three boys look somewhere off screen. The happy couple took to Instagram to share a picture last week as they stand in the middle of a staircase, kissing.